Started 37 years ago from a vision for developing our community’s caretakers, the Greater Des Moines Leadership Institute is a thriving nonprofit benefiting from, and dependent upon, the generosity of our donors and members. 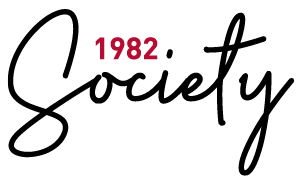 To advance the work of the Leadership Institute, we are excited to launch the 1982 Society - the first-ever annual giving society aimed at funding the Leadership Institute and its programs. In addition to alumni membership benefits, the 1982 Society provides individual members with recognition, unique experiences, and the pride of investing in Greater Des Moines’ future. As an esteemed alumnus of the Greater Des Moines Leadership Institute, you are invited to become an inaugural member of the 1982 Society. $5,000 Arthur’s Circle » Invest in the long-term sustainability of the Leadership Institute and a thriving Greater Des Moines, like our founder intended. $2,500 Life Changer’s Circle » Fund a full Community Leadership Program scholarship or contribute to the impact of five class projects. $1,000 Steward’s Circle » Provide dinner fellowship for a full Community Leadership Program or Community Connect class. $500 Champion’s Circle » Support the expansion of Leadership Institute programming to further develop local leaders. $250 Inspired Leader » Fund a full Community Connect scholarship to connect purpose to service. $125 Connected Leader » Contribute to meaningful growth for alumni through programs like Calibrate and Dialogue 515. $75 Alumni Member » While not part of the 1982 Society, every membership counts. Thank you for supporting our mission! $40 discount on registration for the Calibrate Leadership Workshops. FREE access to all Alumni Exclusives in 2019. Exclusive access to an invitation-only 1982 Society event, held with a distinguished Institute partner. Discounted rates off specified events in the community. Pride in investing in furthering the mission of the Greater Des Moines Leadership Institute. FREE registration for Toast, our annual alumni celebration. Exclusive access to Alumni Exclusives and other activities throughout the year. Access to the online database with the ability to network with your class members and other Institute alumni. Note: If you have changed your email address since you last logged into your profile, please contact Amy Jennings, executive director, at 515-286-4980 or director@gdmli.com to update your record. Passwords can be reset by following the steps on the log-in page.